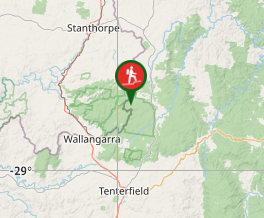 From Tenterfield take the Mount Lindesay Road north and then turn left into Bald Rock Access Road and follow this for 5km to the car park. 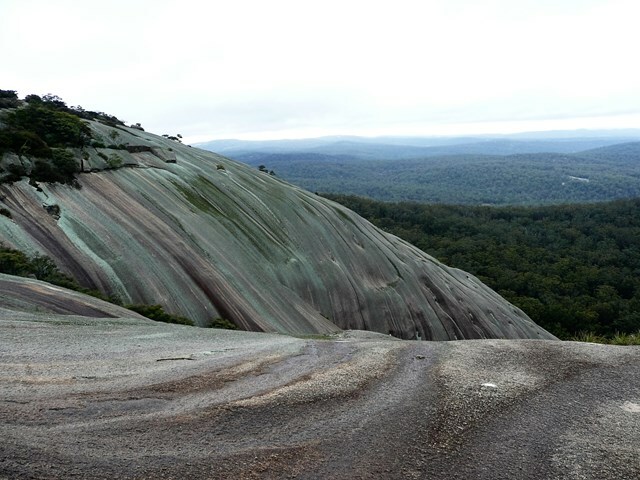 From the car park, take the walk to Bald Rock. After a couple hundred meters you come to a 'Y', take the right (straight); this way is the hardest way up. Keep following the track until you come out of the bush and meet the bottom of Bald Rock. From here, there are white discs marking the direction upwards. As usual follow the standard white markings up. Take your own water supply, as none is available on the trail. Park entry fee applies (2017 = $8 per vehicle/day) There is a self registration area for parking and camping. The camp grounds are just behind the car park. 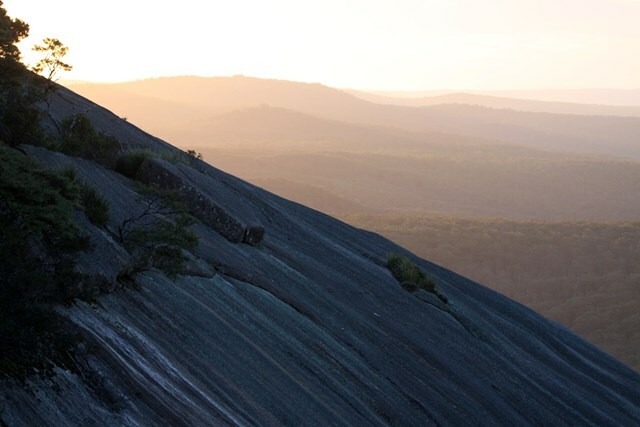 Base yourself at Bald Rock Camp Grounds and take advantage of a spectacular sunrise or sunset from the top. Stunning walk. I walked up the long way, down the steep way, which is heaps easier. Path winds through large boulders, ending with 360 degree view. Definitely head up to the summit where the summit marker is. Not a difficult walk, well worth it. Do not go in the wet! Absolutely stunning! Walked up rock face and downntrack. Highly recommend. I actually enjoyed this rock a lot more than the pyramid in Giraween which I did one the day before. It’s hard to describe the scale of this thing: such a large slab of granite. Had the place all to myself which was hard to understand considering how magnificent it is. 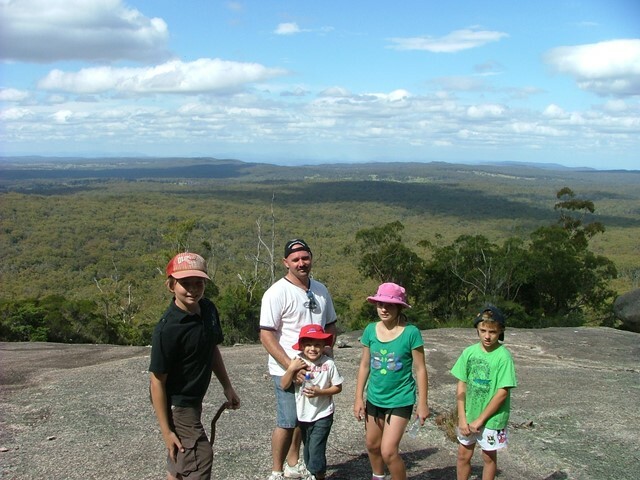 It is twelve years since I was here last and now it was time to camp at the base and take my grandchildren to the top to witness a fantastic sunset. Fabulous views and worth the climb. Lots of wildflowers too. 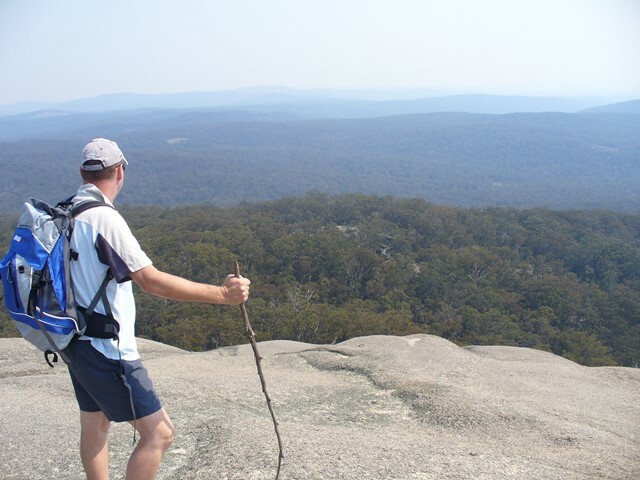 An easy walk up the face of Bald rock. It is a bit steep and can get a bit daunting for young kids and those scared of heights. There is an alternative slightly longer track if you dont feel comfortable walking straight up the face of the rock. Wonderful view from the top but what i love most about bald rock is its uniqueness. Omg not for unfit people. 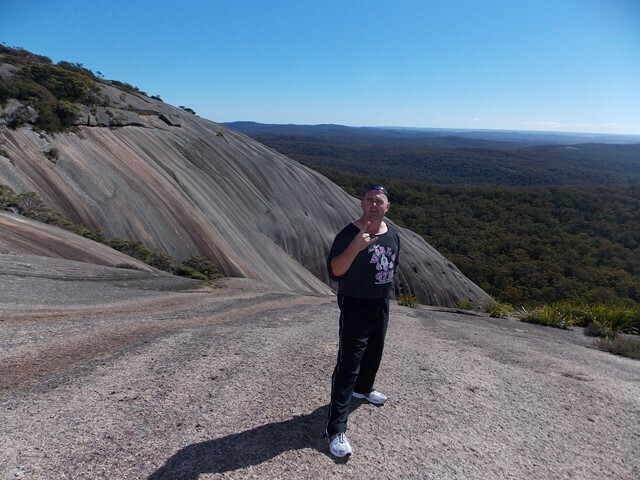 I struggled the climb up Bald Rock 1km on an 8 degree angle but the view was magnificent. The walk down around the rocks was also cool and so many boulders to climb into the walk was worth it. Great views and such a beautiful spot to watch the sun go down. Took the easy way up and the quick way down for a round trip. I've climbed Bald Rock twice now, but on this occasion, I went up the Easier Route ( which is basically walking up a well maintained path along the side on the Rock), and then came down the Cliff Face. Along the easier path, there are incredible rock formations which you actually walk through. HUGE granite boulders, giving many great photo opportunities. 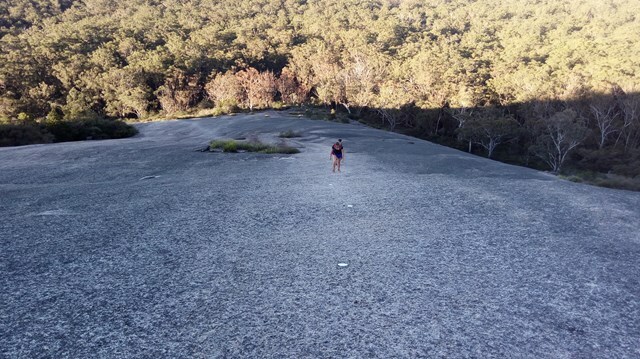 When you approach the top of Bald Rock, it can give those with height fears some nervous moments, which I witnessed a couple who actually turned back, going no further. There is a series of white lines painted onto the top of the Rock, suggesting the best option to make it to the top. Following this path, you should not have any problems. The view's are amazing on top, and showcase large round boulder's that look as though they could just roll off at any moment. The walk down the cliff face is not dangerous, providing you take it at a careful pace. 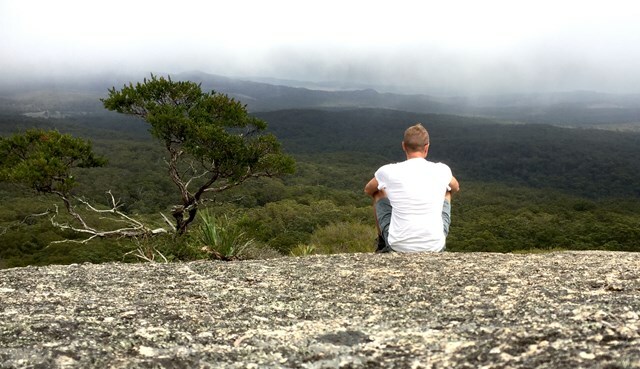 It would most likely be quite slippery after rainfall, so keep your intended climb of Bald Rock for a Sunny Day. Have done this walk a number of times. A nice drive from the in-laws place at Stanthorpe. The first section is very steep and we had to rest a couple of times. Once past the initial rise it is a relatively easy walk to the summit. We were the only ones there and it makes you feel as if you rule the world. There is plenty of opportunity to walk around the top and explore. The knees take a buffeting on the steep return descent. Fantastic walk. Wouldn't do it in the wet as the granite is quite slippery. Wow, what an amazing place. 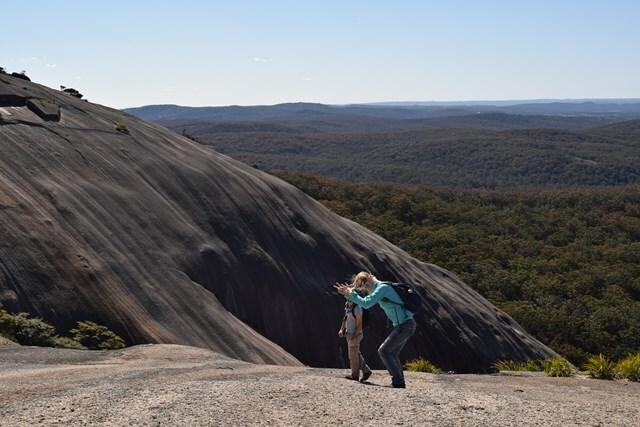 The views from the top of Bald Rock are fantastic, but even more impressive are the huge boulders that the trail wends through on the way up - take your camera because the photo ops on this hike are amazing. I just wish we lived a bit closer. Good Short hike with great views.